When Should a Christian Start Dating? 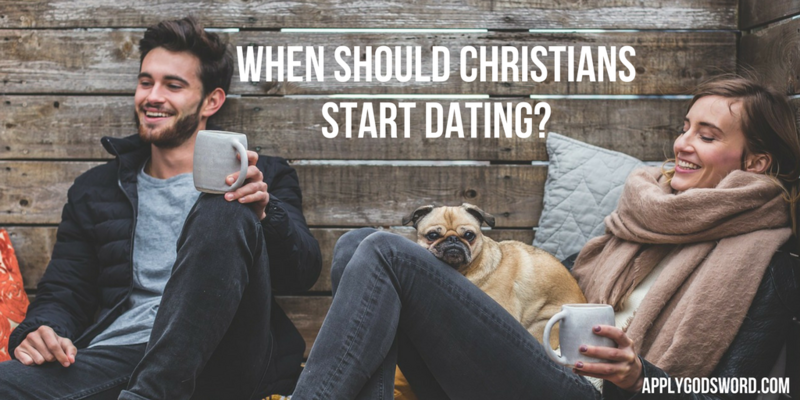 When should a Christian start dating? Should a Christian date in high school, in college, or only after they graduate? What does the Bible say about when to date? Not a whole lot. The Bible doesn’t directly say anything about dating. So to answer this question, “When should a Christian start dating?” we need to do our best to apply general truths in the Bible to this specific question. The Bible doesn’t give a certain age for when Christians should be married, so it definitely doesn’t say what age people should start dating. While I would like to say a teenager just isn’t ready to get married, the Bible doesn’t say that, so I won’t say that. Since the Bible does not give a specific age, I won’t either. So to get this answer about the timing of dating, we will have to come at this from another biblical angle. Who and how you date is more important than when you date. The Bible doesn’t give us a formula for how marriages are supposed to happen. What the Bible does make clear, however, is that God wants healthy marriages to happen between two Christians (1 Corinthians 7:2, Proverbs 18:22). This is why I believe the main guiding principal for all dating relationships is that they should have a goal of figuring out whether marriage is or is not going to happen between two people. Therefore I believe Christians should only start dating when they are ready for marriage. I say “ready” not in the sense that you will be the perfect spouse, but ready in the sense that you are prepared to fulfill your biblical role as a husband or wife. If you are a male, are you ready to provide, protect, and lead your wife? If you are a female, are you ready to manage your household, raise children if you unexpectedly get pregnant, and respect the leadership of your husband? These questions can’t be answered by someone’s age. A mature 18-year-old young man may be ready to be a godly husband more than a 35-year-old guy still unemployed with a quick temper. It’s not about age. It’s about maturity. Most of the time there is some correlation, however, between age and maturity. Most 25 to 30-year-olds will be more mature than most 18 to 25-year-olds. That’s a generalization and does not apply to everyone. 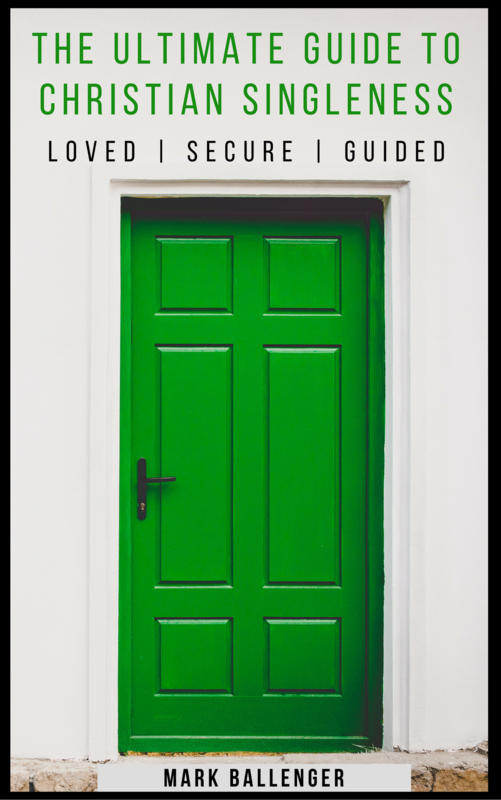 So you won’t know if you are ready to marry by your age, how far along you are in school, or by how much money you make at your job. Christians should start dating when they are ready to obey the word of God and fulfill their marriage roles without being dependent upon their parents. I’m not saying you have to be able to afford a mortgage, have kids right away, have a degree, and be the perfect spouse. But are you ready to fulfill what the Bible says a Christian husband and wife should do for each other? If the answer is yes, then I believe you are ready to date. Dating without the purpose of seeing if marriage is right for you and the person you are dating, in my opinion, is definitely unwise and perhaps unbiblical. Why do I say that? Because intimacy and commitment are always paired in the Bible. Don’t get me wrong. You don’t have to be ready to commit forever to the person you want to date. That’s the whole point of dating. It is a bigger commitment that friendship so that you can enjoy a greater intimacy that friendship as well. But it’s less of commitment than marriage. Problems arise, however, when Christians want a greater intimacy than is wholesome for dating but they do not want to commit that much. If you simply want to date around and enjoy deep intimacy while giving minimum commitment, you are not ready to start dating because you are not ready to find a spouse. A Christian should start dating when he or she wants to find someone to commit to in marriage, not just in dating. Dating should not be an end in itself. Dating should be a means to an end. Dating should end through breaking up when you realize this person is not your future spouse or it should end when you realize this person is your future spouse. Dating should not persist. It should only last as long as you don’t know whether or not someone should be your future spouse or not. If you are dating a new girl or guy every few months, that is a problem in my opinion. Too much dating is a sign that you are missing the importance of a healthy season of friendship. While I don’t think immediate dating is always wrong, I think friendship is usually the best way to start a relationship. I say that because often times you can learn enough about someone in friendship to determine it would not work romantically before entering into a dating relationship. I believe you should start dating once you can no longer determine what you need to know from the friend-zone. I knew it was time to start dating Bethany after we had progressed as far as we could in our friendship. Much of what you need to know about someone to see if you should not progress with someone can be found out in friendship. You need to date, however, to see if you should keep progressing. In other words, you can know you don’t want to marry someone by being friends. You won’t know if you do want to marry that person by just being friends. That’s when dating should happen. Eventually you will need to progress from friendship to learn other things about that person which you can’t know as friends. So When Should Christians Start Dating? Christians should start dating once they meet someone that they like but they need to progress past friendship to learn more about him or her. If there are things you don’t know about someone that you can learn from friendship, you should remain friends and not date. Are they a Christian? Are you generally headed in the same direction in life? What state does this person plan to live in? All of these types of questions can be figured out in friendship. Why date someone when there are basic flaws in the match that could have been discovered in friendship? You will save yourself a lot of heartache and temptation if you date only those you can’t serve and get to know in friendship. Christians should start dating once they have exhausted the healthy boundaries of friendship. Christians should then get married once they have exhausted the healthy boundaries of dating. Why Are Christians Terrible at Disagreeing Respectfully? Why Won’t God Fix My Marriage?